Johnnie Burton graduated from Shaw High School in 1995. Soon afterward, he made a split-second decision that would cost him more than a decade of his life. 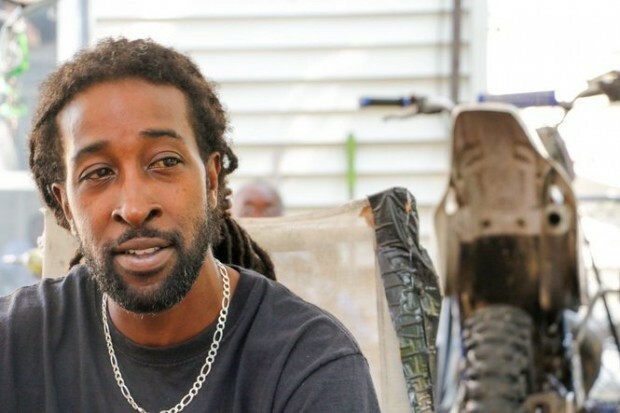 Johnnie spent 13 years behind bars, but that didn’t cause him to fold. Several years into his prison sentence, Johnnie decided that he wanted to be nothing like the men around him, and he never wanted to return to prison. So Johnnie spent his free time reading books and taking classes. He became a certified machinist, and in the final four years of his time served, he joined a group of inmates who traveled to area high schools and spoke to students about the importance of harnessing their life's potential. After his release, Johnnie enrolled into Power Sport Institute (PSI) where he excelled so much that they offered him a teaching position post-graduation. But, Johnnie's talent and ideas extended beyond the Power Sport Institute. 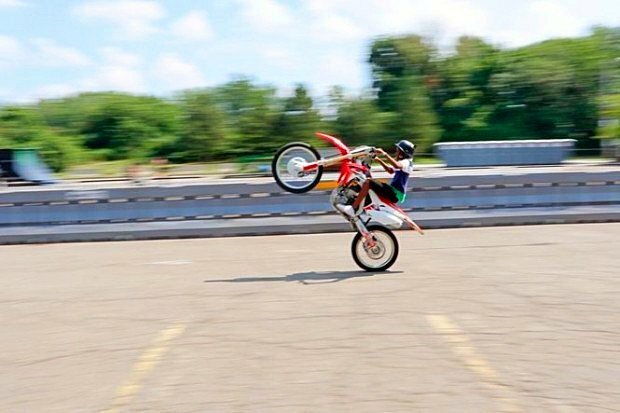 He had come to realize that while he was behind bars, dirt biking had grown in popularity among youth in Cleveland and major cities nationwide. Without dirt tracks nearby, riders took to performing stunts in the streets. But their bikes - and what they were doing with them - weren't always legal. And despite the burgeoning popularity of the sport, bike retailers and repair shops were scarce in Cleveland. So Johnnie began fixing bikes for those involved in what had become known as the Bike Life movement. Apart from his day job at PSI, Johnnie runs his own side business - a bike pick-up and repair service out of his home in Bedford. Each summer, continuing the tradition his grandfather began decades earlier, Johnnie along with his cousin Dwayne organize a campout for dozens of dirt bike and ATV riders and their families. At the summer retreat, held in the countryside, riders race and practice their tricks without fear of arrest. Curtis L. Houston, Jr. (Kurt) grew up in the motorcycle community. He is a motorcyclist, who has whole heartedly embraced the biker lifestyle. Kurt taught himself how to ride a motorcycle after his Father, Curtis Sr., bought a new Harley Davidson in 1972. Kurt’s tenacity and determination has driven him to become a world traveler, riding as many as 20,784 miles in a seven month riding season, and traveling to as many as 46 states on Iron (by motorcycle) in his riding career. It is that same passion for motorcycles, and his “work to succeed” ethic that pushed Kurt to go beyond what is expected in, and from “Biker Life”. Kurt has always explored new territories in motorcycling. He opened a motorcycle custom shop, with his son Kurt III aptly named C.L.H. Builders, that performs routine maintenance, repairs, and builds high performance motorcycles. In 1977-1980 Kurt started his own Motorcycle Racing Team, racing the first bike he built, a 500cc Honda affectionately called “The Little White Honda”, and then later building and racing the Legendary “Destroyer”, which was a small framed 750cc Honda, that actually competed and outperformed larger Kawasaki’s and Suzuki’s, which were dominating the motorcycle racing scene at the time. Kurt and his Racing Team competed in a number of races from Cleveland, to Michigan and even down into Mississippi. Kurt is a full time member and president of the Mystic Knights Motor Club (MC), which is a club his father, Curtis Sr. currently holds the title of National President. Kurt has a proven track record for organizing large scale events, in and out of the Motorcycling Community. Kurt has generated millions of dollars for various cities and states, by utilizing his particular expertise, his extensive contact list and his sharpened skill set. Kurt is a successful business owner who has a heart for motorcycling, children, families, and most importantly, the City of Cleveland. This new platform will provide the means to inspire and encourage our youth, by providing a safe, secure, environment to allow them to learn from professionals, explore their boundaries and turn their dreams, and their hobbies into realities. After graduating from high school in 1997, Dwayne obtained his two year degree in Business Management. After seven years with the same company as a Chef and then Union Steward, he enrolled at Power Sport Institutions (PSI) and took their two year training course. 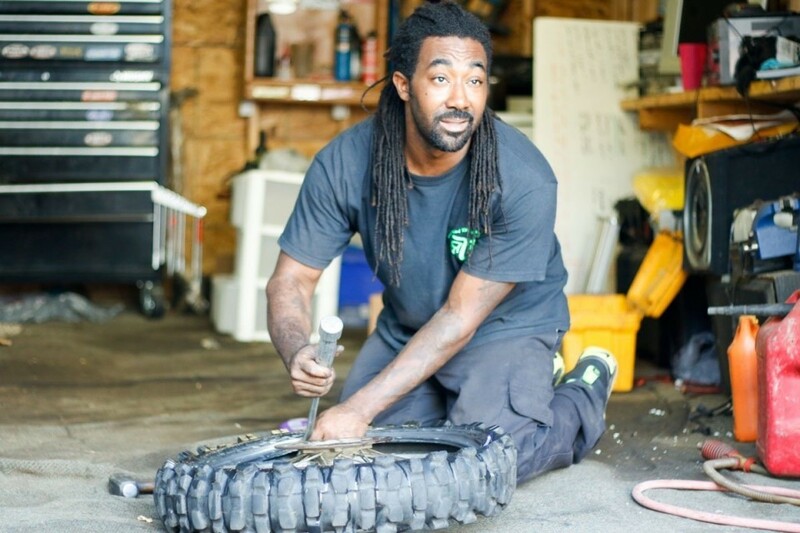 Dwayne graduated from PSI in 2011 and partnered with his cousin, Johnnie Burton, to open BRT-racing shop. Their dedication to the power sport is very strong. They not only fix bikes but also teach riders and fellow wrenchers tricks of the trade. 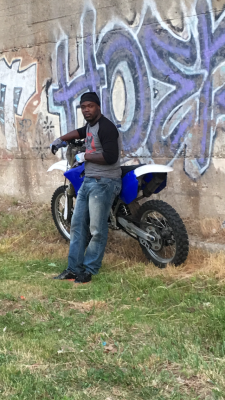 Dwayne's name has become a common topic when dirt bikes or ATV's are mentioned. He still continues to strive for greatness taking on hurdles in life and concurring obstacles thrown in his path. Dwayne is currently the director for a prestigious assistant living culinary department and still operates his motorcycle shop. His newest venture as the Vice President of the Bob Burton Foundation allows him to take all he has learned over the years and place it into this foundation and build for future generations. Born and raised in Cleveland, Ohio, Ebony Webster’s dedication to her community has shaped and inspired her professional path. Educated in her hometown, Ebony earned her Associate’s Degree in Journalism from Cuyahoga Community College, her Bachelor’s Degree in Communications from Cleveland State University, and her Master’s Degree in Communications Management from John Carroll University. 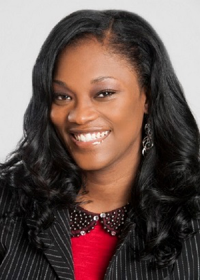 Ebony is currently pursuing her PhD in Leadership and Organizational Behavior at Walden University. Ebony is an Emmy nominated journalist who has spent more than 15 years working to produce provocative and creative content in Journalism, Broadcast Media, and Marketing. Her success in brand establishment and promotion as a News Producer at NewsChannel 5 led to her next career as a Marketing Director then News Director. Now, Ebony is owner and operator of her own Production, Publishing, and Marketing company, Dream Writer Communications and Publishing and co-host of an online talk show, “Just Chat. " Ebony's professional successes drives her to achieve continuous improvement of herself and her community through her involvement in a number of organizations. As an active member of Delta Sigma Theta Sorority, Incorporated, Ebony is heavily involved with public service events that help to mentor young men and women as well as those affected by poverty and/or lack of educational opportunities. Ebony also served as an Assistant Professor of Communications at the University of Akron. James “Smoke” Patton has a reputation as one of the top riders in Cleveland's underground Bike Life scene. He alone shows the promise of what Bike Life can do for young, mostly black male participates, because his life could have turned out much different without it. Smoke grew up in a rough neighborhood on Cleveland's East Side. He picked up the dirt bike hobby at the age of nine, when his father brought home an abandoned dirt bike he found on a tree lawn. They fixed it together. Smoke’s mother died of an asthma attack in 2003, and a heart attack took his father less than two years later. Soon after that, Smoke got arrested for drug dealing and for running from the police on a four-wheeler. But a Cleveland detective worked to get his drug trafficking case knocked down to possession charge because he saw Smoke's potential. Smoke believes that bikes could be at least one of the answers to keeping kids from falling into the violence prevalent in their communities. He teaches them to listen to police. He says it's much easier to get a bike out of the impound lot over a traffic citation than it is to get out of jail because you ran from the cops. Smoke is committed to helping mold the younger riders, because he says he sees himself in them. Marcia Banks developed a love and passion for motorcycles and riding in 1980. 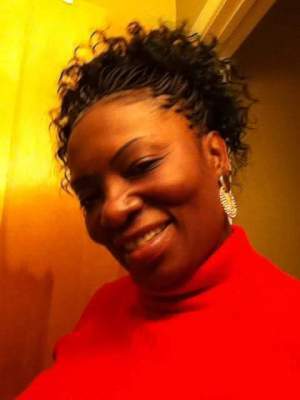 Marcia graduated from MTI Business College as a Medical Secretary. She put aside the bike life to raise her two children. In 2003, both of Marcia’s children graduated from high school, went off to college, and Marcia returned back to bike life. This allowed her to reignite the flame for riding, and she purchased herself a 2003 Honda Shadow Ace. In 2007, Marcia was one of the original four founders of the Step Riders Motorcycle Club in Cleveland, Ohio. Marcia resigned from the then all male club and joined the Rolls Royce Motorcycle Club from 2010 – 2015. Marcia’s struggle with the love for riding and the uncertainty of wanting to belong to a club ended when she became involved with C.L.H Builders Custom Harley Motorcycle Shop, owned and operated by Kurt Houston. As she works under the guidance of Kurt Houston, she was introduced to Bob Burton Foundation where she volunteered to take notes, which lead to a positon as Secretary with the Foundation. C.L.H Builders and Bob Burton Foundation presented the opportunity to stay connected to the Bike Life with a membership that fulfills her love and passion while helping to encourage, educate and empower others.